Looking for a Listing Agent in the Kingwood, Humble, Atascocita areas? You have come to the right place. See the difference Kimberly Berger can make. If you are to Sell Your Home she can help. She finds the time needed to make you feel you are getting the best possible experience and informs you throughout the Selling process. Having Kimberly Berger as your Listing Agent when selling your home makes sense for many reasons. First and foremost, she provides that personal touch you won’t get with a team. Kim will take the time to get to know you and your motivations concerning the home and use this information in her extensive marketing, which includes, but is not limited to, her social media outlets. In addition, your home gets its maximum exposure through Kim's extensive network of sites. She can guide you in not only the marketing previously mentioned but in setting the price and presenting your home as well. There are several criterion that a buyer will use in judging your home, many of which are easy to fix which will result in the fast sale of your home. She will also provide a market snapshot that you will receive regularly for your neighborhood. It provides information about the current active and sold homes in your area so you can compare with yours to feel comfortable in your chosen price point. It is Kim's goal to guide you through the complicated selling process and sell your home for the PRICE YOU WANT in the TIMEFRAME YOU WANT. Often, selling a home can be a difficult experience with multiple parties, conflicting interests, and a myriad of other issues. These aspects can make the negotiation process very difficult. Kim will negotiate on your behalf and resolve conflicts so you get the best deal possible with the least amount of issues. She will put her experience, education, and skills to work for you. 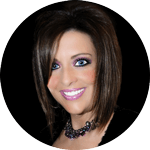 Kim encourages you to take a look at my Testimonials for comments from her satisfied clients. Kim was a very nice Realtor to have looking out for us and getting everything we need and on time, also time to listen, that meant a lot to me. I'm going to miss working with her. I will refer her to all my friends and family. Again it was pleasure to have her as our Realtor. Ms Curry. Working with Kimberly was easy. She kept men formed throughout the process. I received three contracts to choose from the first weekend my home was on the market. I will recommend her to friends that are buying or selling in the NE Houston/Humble/Kingwood area. Working with Kimberly was easy. She kept men formed throughout the process. Kim is a wonderful Realtor that went beyond what a Realtor responsibilities are. She was a joy to work with and I would use her again when the occasion arises. Kim is a wonderful Realtor that went beyond what a Realtor responsibilities are. Kimberly Berger was incredibly professional and efficient. She was knowledgeable about the area I was looking at. She helped me every step of the way. I will definitely use her again in the future. Kimberly Berger was incredibly professional and efficient. Kim is a joy to work. I highly recommend her. JLA Realtor serving the Humble, Atascocita, Kingwood and Surrounding Areas. See the difference I can make!